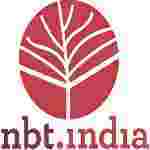 NBT recruitment 2018 notification has been released on official website www.nbtindia.gov.in for the recruitment of 01 (one) vacancy for Editorial Assistant (English). Job seekers should apply on or before 12th January 2018. Here on this page you will get the details like the Name of vacancies released by NBT with exact number of posts. Some other criteria like Education details, application fee and way to apply application for NBT recruitment 2018. Educational Qualification: Bachelor Degree from a recognized University with English as a compulsory or elective subject and Editorial level working knowledge in English. Interested and eligible aspirants should apply in prescribed application form along with relevant documents send to the Assistant Director (Establishment), National Book Trust, India, Nehru Bhawan, 5, Institutional Area, Phase – II, Vasant Kunj, New Delhi 110070 on or before 12.01.2018.